ThermiRase® is a radiofrequency (RF) device FDA-approved for platysma relaxation. This micro-invasive procedure uses radiofrequency energy to deactivate targeted nerves that that cause neck bands to prominently protrude. Radiofrequency has been used for years in cardiology, dermatology and pain management. The ThermiRase® RF system precisely delivers radiofrequency energy to disrupt the function of the nerves that activates the platysma muscle. A special probe is used to create a series of thermal lesions along the nerve pathways. The system is equipped with heat sensors that allow for a safe and comfortable treatment. Is ThermiRase® Right For You? ThermiRase® is a safe and comfortable treatment for protruding neck bands. A longer-lasting and natural alternative to Botox neck treatments. Call today to schedule your consultation to learn whether ThermiRase® is right for you: (570) 296-4000. 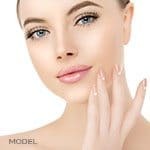 How Does ThermiRase® Compare to Botox? Neck cords are caused by the involuntary movement of muscles controlled by motor nerves. Botox and other neurotoxins temporarily inhibit the signal transmission from these motor nerves to the muscles. These chemical neuromodulators usually work for 3-4 months before another treatment is necessary. ThermiRase® is a micro-injectable procedure that uses radiofrequency to ablate the nerve. The results are immediate and last much longer (up to 18 months), avoiding the injection of a toxin. Generally, only one ThermiRase® treatment is needed to relax the neck bands and reduce their appearance. 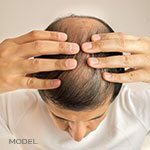 Results are noticed immediately after one treatment. Many patients have also seen a reduction in the appearance of fine lines and wrinkles around the neck cords. Although results vary from patient to patient, some have seen results last over a year and a half. Many patients can expect results to last between twelve to eighteen months.